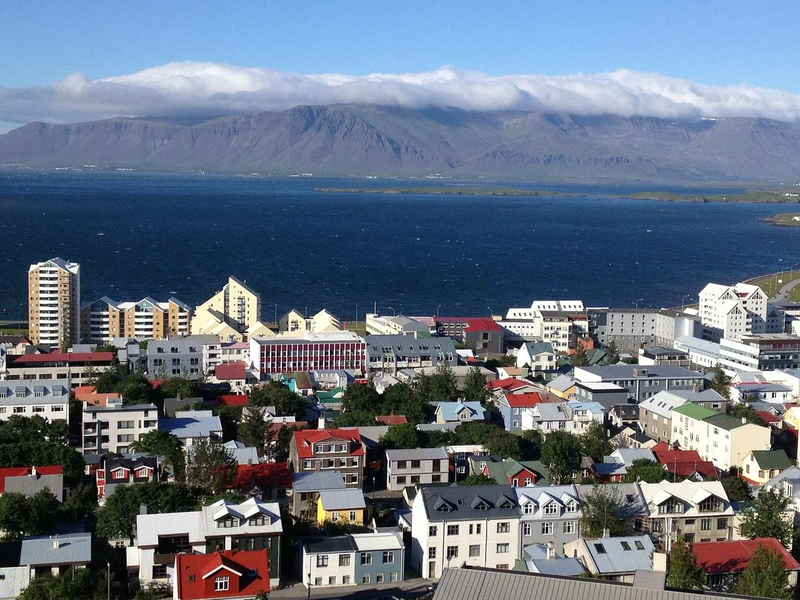 Reykjavik is a beautiful city that can offer numerous activities for people with various interests. If you are a fan of sightseeing, prefer to enjoy nature and spend time outdoors or more interested in clubbing - there is always something for everyone in Icelandic capital. While visiting Iceland many tourists decide to travel around the country to see unique nature and stunning landscapes, but don’t worry, staying just in Reykjavik will also make your trip amazing and eventful. There are plenty of things to do in Icelandic capital, but we decided to narrow the list to top five activities that would be interesting for tourists with different interests. Hallgrimskikja is the largest church in Iceland and one of the tallest buildings in the country. One of the reasons why the church has become so popular among tourists is a spectacular view on the city and surrounding mountains, that you can get from the top of the tower. So in case you want to make great photos of Reykjavik or observe the city from a bird’ eye view, Hallgrimskirkja is definitely a “must do”. During the winter season (October - May) the church tower is opened from 9am till 5pm, in summer (June - September) from 9am to 9pm. It costs adults 800 ISK (approximately 5,60 euro) and children 100 ISK (approximately 0.70 euro). Laugardalur is definitely more than just a park, it will be interesting for people of all age and various interests. In the Zoo you can find both wild and domesticated animals: seals, sheep, rabbits or reindeers. Another great spot is a botanic garden with a large collection of gorgeous Arctic flowers. And there is also an outdoor pool, where you can swim all year long. Visiting Iceland and not experience warm geothermal water is not an option. After all Iceland is famous for its outdoor pools as much as it is famous for its beautiful nature! Speaking of geothermal water, another “must do” place in Reykjavik is a beach in Natholsvik. It was opened in 2000 and soon became a popular location for both tourists and local people. Seawalls were built in a form of lagoon, where hot geothermal water mixes with cold sea water, making it possible to bathe there all year long. The admission is free during the summer, and it is definitely worth visiting, at the end of the day, it gives you a chance to boast that you were swimming in Arctic ocean. Obviously it is hard to compare nightlife in Icelandic capital with such cities as New York or Paris, but there is some major advantages in clubbing in Reykjavik. First of all there is no entrance fee, no strict dress code and you certainly won’t wait in a long line to get into a place. Another advantage is that all popular spots are in walking distance from each other, which make it easier to get from one bar to another during the night. If you want to go shopping in Reykjavik, you should go to Laugavegur or Skolavorðustigur streets. The first street is the oldest shopping street in the city, it is famous for its brand stores and exclusive shops. On Skolavorðustigur you can find loads of souvenirs, local design and craft shops. Also there are many cafes, where you can relax and eat some delicious desserts.